We’ll drink a glass of pinot noir to this! 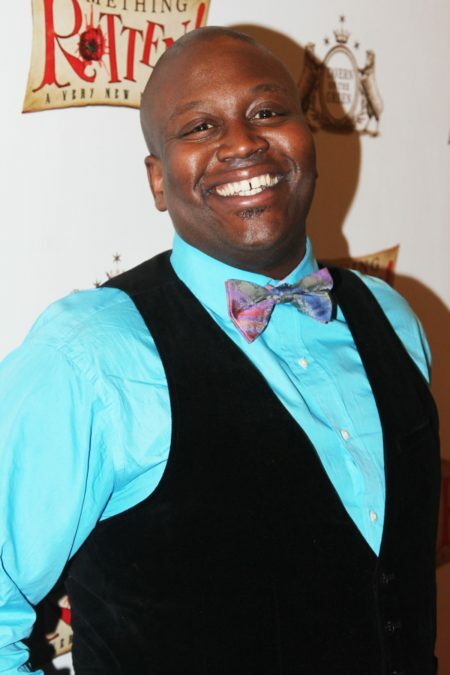 The Preacher’s Wife, with music and lyrics by Broadway vet Tituss Burgess, is heading to the stage. Directed by Stafford Arima, with a book by Daniel Beaty, the Unbreakable Kimmy Schmidt star has gained the rights to the 1996 film, which was headlined by Denzel Washington and Whitney Houston. The Preacher’s Wife is the story of one woman (Julia’s) journey to find her voice and strengthen her husband (the Preacher) and larger church community during a moment of financial crisis and emotional overwhelm. In a fast-gentrifying Harlem when they’re at risk of losing their church and their hope, an Angel appears and reminds them that a church is not a building, but the people who inhabit it and the love they share. An industry presentation, starring Chester Gregory, Ledisi and Loretta Devine, will be held in the Big Apple on September 12. No word yet on when the work will make its public premiere.